This venue is situated just 8 miles from Oxford on A44, the Palace was created a World Heritage site in 1987 and is the home of 11th Duke of Marlborough and birthplace of Sir Winston Churchill. The imposing scale of the Palace is beautifully balanced within, by the intricate detail and delicacy of the carvings, the hand painted ceilings and the amazing porcelain collections, tapestries and paintings displayed in each room. Set in beautiful parkland of 2100 acres, which was landscaped by 'Capability' Brown in 1760's, the Palace is surrounded by sweeping lawns and formal gardens. Whether you are looking to host a corporate event or hold a private celebration they will help you from the planning stages through to the event, to ensure your experience is a unique and memorable one. 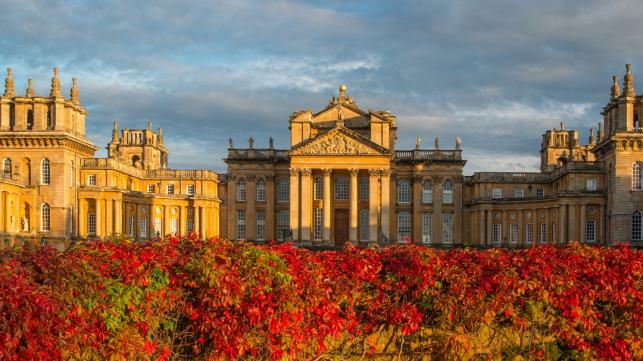 Blenheim Palace has a wide offering of hospitality services from conferences and marquee events to an elegant dinner held in the State Apartments. The Long Library boasts one of the longest private rooms in any British stately home and can dine up to 300 guests. Dinners can be held in The Orangery for up to 228 guests where guests can enjoy a Champagne reception on the Terrace overlooking the private Italian Garden. Alternatively, drinks can be served in The Great Hall which includes a private tour of the Palace. Guests can then be piped to The Orangery for dinner. All events at Blenheim Palace are tailored to suit our clients individual requirements and our experienced events team will work closely with you from the initial enquiry through to the event and beyond.